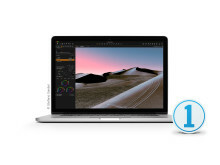 Capture One launches a new Style Pack to its collection; Editorial Color Grading Styles. The collection brings within reach of any user, for the first time, the editorial aesthetic of 3 acclaimed photographers and retouchers; Michael Woloszynowicz, Marie Bärsch, and Pratik Naik. The 21 unique Styles provides countless possibilities to create professional and distinguished editorial images.